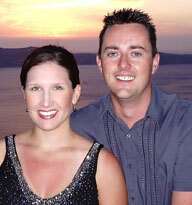 My wife, Dr. Michelle Zwicker, and I graduated from Dalhousie in 2000 and each went into associateships for one year. We wanted to buy a practice where we could practice together and ended up buying the practice where Michelle was associating in Bay Roberts, Newfoundland. After a couple of years in practice, we were crazy busy and quickly got overwhelmed with the amount of work. We knew that the dentistry wasn’t the problem – we knew how to do that; we realized we didn’t know a lot about business and how to manage the people who worked for us. The practice was kind of running itself – not us running it! And, there was no personal time for us. 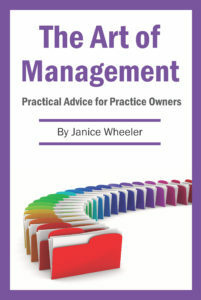 Then came AMI with their in-depth practice management system. There were changes immediately and everyone loved the differences. One of the first issues addressed (because it was causing so much stress) was the scheduling of hygiene checks. The change AMI recommended took the pressure off everyone immediately, making the dentists, staff and patients happier. I came to realize there were a lot of things I was doing myself that I was paying other people to do. Although the staff were doing their jobs the best way they knew how, I found out that I hadn’t defined their roles for them as well as I should have. This resulted in a lot of inefficiencies, and of course, AMI helped me remedy that situation too. After several months with AMI, I found myself working fewer hours, spending more time with my wife and our newborn son, while miraculously the billings went up significantly. Another challenge was that we had outgrown our space and were bumping into each other. We were trying to see all the people coming our way but didn’t have enough physical room, and we ended up spinning our wheels. Plans had been made for a new building but our worry was how we were going to run the place if we got even bigger and busier. AMI not only assisted us in improving our existing operation in the cramped quarters, but also helped us work our way through the expansion plan as well. Probably the biggest thing AMI did for me was to give me the tools to be a better manager and make changes on my own in the future. It gave me confidence and I now feel in control of the practice and my life in general. I am most proud of how we improved our bottom line, staff relations, and created more time for ourselves and our family, without decreasing the quality of dentistry that we were offering our patients. My experience at AMI was extremely rewarding.